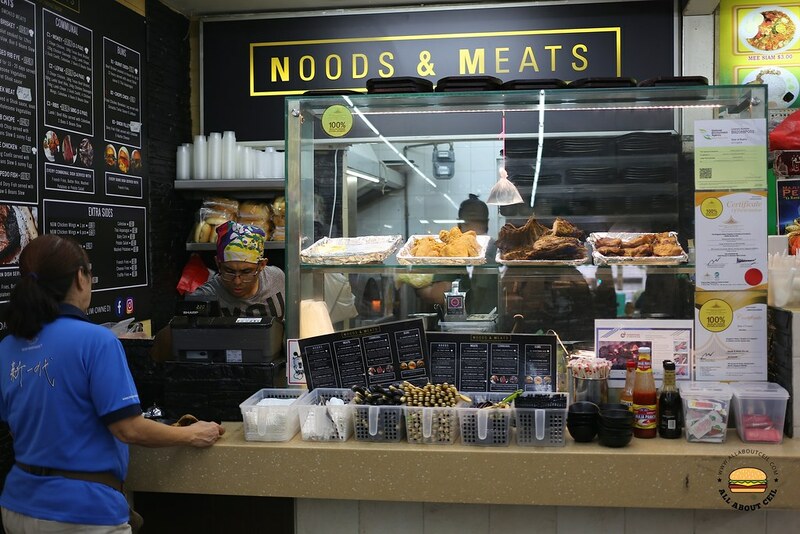 This is a Muslim-owned Western food stall located in the coffee shop near Yishun Park Hawker Centre, it started by Chef Fidauz Nasir, a former Executive Chef of Arteastiq on 17 December 2017. 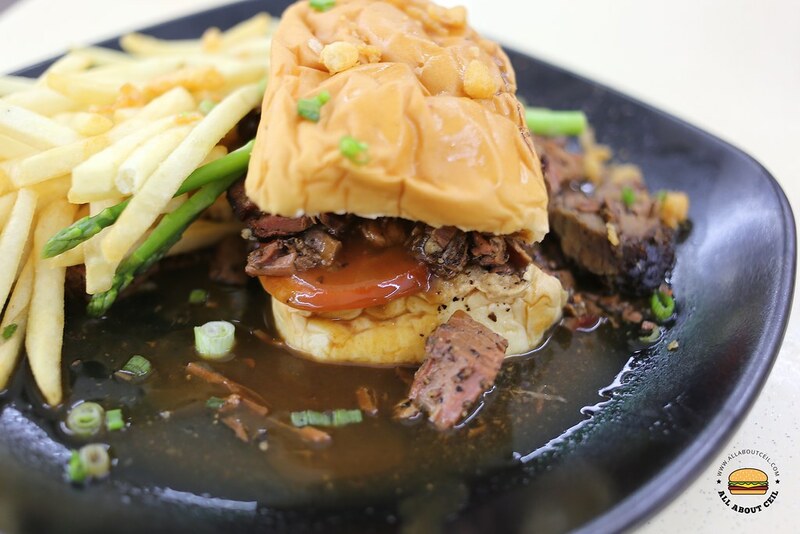 They are specialized in handmade noodles and in-house smoked meats. We were there on a Sunday for lunch. Their menu is pretty extensive but some of the items were sold out, including the Bebek Meat listed as item A9 on their menu for $12.90, it is a duck confit served in their secret sauce with sous vide egg and vegetables that we wanted to order. 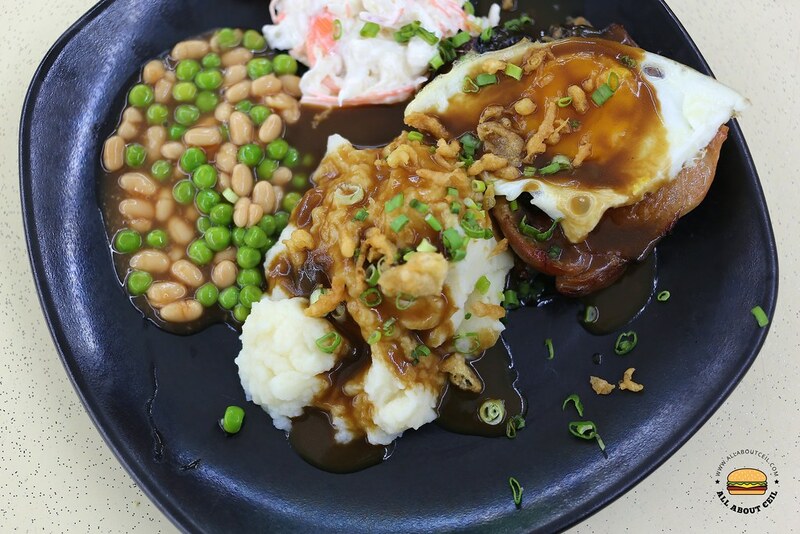 We decided to go with item A11, listed as Chope Chicken for $10.90, it is a Chicken Leg Confit served with coleslaw, beans stew and sunny side up egg. I was given a choice to choose between the butter rice, fries, mashed potato and potato salad as a side dish but potato salad was not available then. 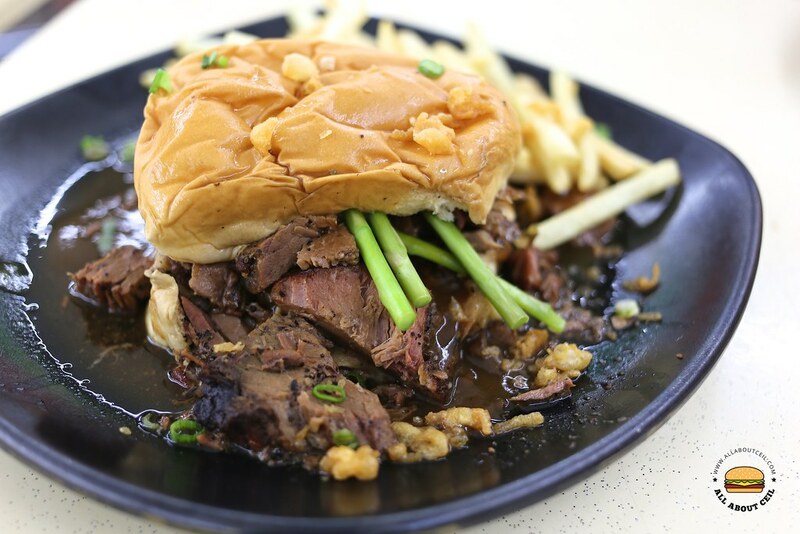 We also went ahead to select item B1, listed as Burnt End for $6.90, it consists of in-house Beef Brisket that was smoked for 12 hours with their secret sauce and Thai asparagus. Every bun dish is served with french fries. After done with ordering and payment, I was told that they will call the number on the receipt when it is ready for collection. We were expected to hang around there as the coffee shop was quite crowded on a Sunday and there was quite a high chance that we might miss it if we seated too far. When it was ready, the assistant shouted really loud and shouted it twice. We collected both dishes at the same time. 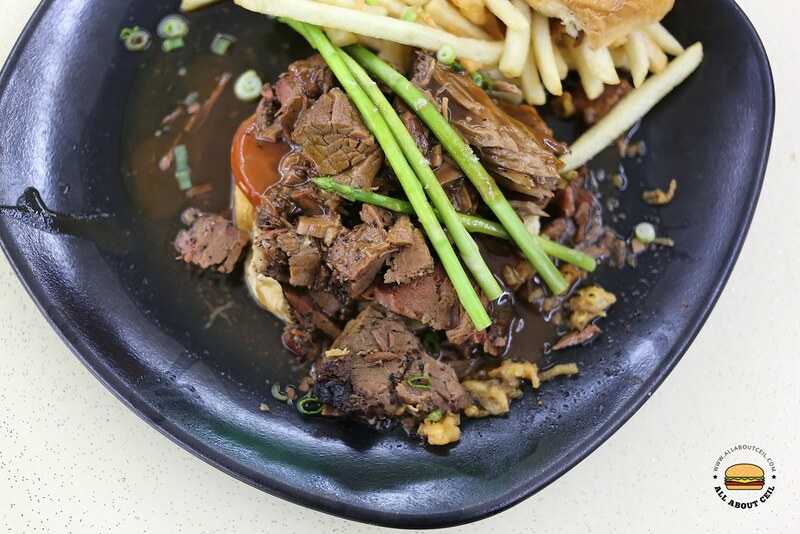 Burnt End, is none other than a pile of beef brisket served in a sweet bun and with Thai asparagus. The beef brisket was smoked in-house for a relatively long 12 hours. Every bun dish is served with french fries, it was quite a big pile of shoestring fries. Their secret "shiok" sauce did not taste as impressive as we expected it to be. The presentation was indeed messy thus, not too appealing. My dining companion thought it actually tasted better than its look. The beef brisket was nicely flavored and it would be nicer if it is more tender. The bun was situated in a pool of sauce and its base turned slightly soggy. It was quite nice, as commented by my dining companion, in fact, it is the better one amongst the 2 dishes. Chope Chicken, not a whole chicken leg was used but the boneless one. It was suspected not done in confit method as described on their menu but grilled. What is confit? It is a method of cooking food in its own fat, oil or a water syrup at a low temperature, which is likely not in this case. It was confusing and misleading as well, it should be just called a grilled chicken chop and by calling it Chope Chicken, it did not quite make sense too. 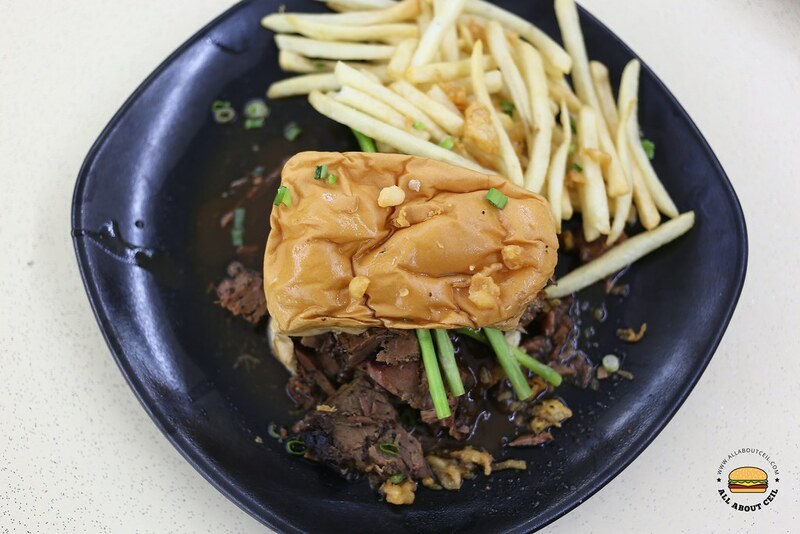 When googled for the meaning of "chope", it refers to reserve a place, such as a seat, sometimes by placing a packet of tissue paper on it. A sunny side up was placed on top of the chicken, accompanied by the coleslaw, mashed potato with a mixture of baked beans and green peas. 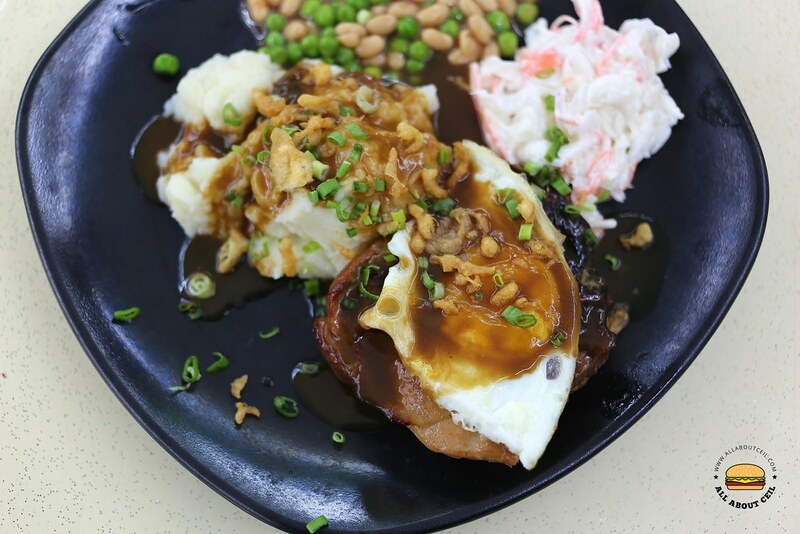 After tasting it, my dining companion was saying he prefers the chicken chop served at the western food stall in Yishun Park Hawker Centre just a stone's throw away. He commented that the chicken, though nicely cooked but was a bit too thick, mildly flavored and with soggy skin. The mashed potato did not have much taste and the coleslaw was not as good too, it is also more expensive. The dish was garnished with chopped spring onions and some crispy bits, its presentation was quite messy. They are only in operation for about a month and perhaps, give it a bit more time and they will get better.